Jerry Wilson’s Roofing had a blank slate, white F250 that needed some love! We were so excited to begin the process of their commercial truck wrap. 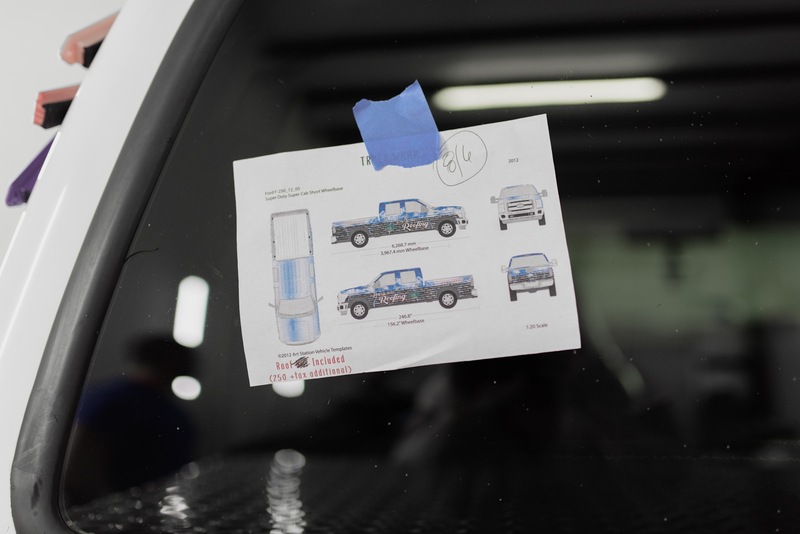 With their direction and vision, our graphic designer’s began drawing, creating, templating and perfecting their custom wrap design. 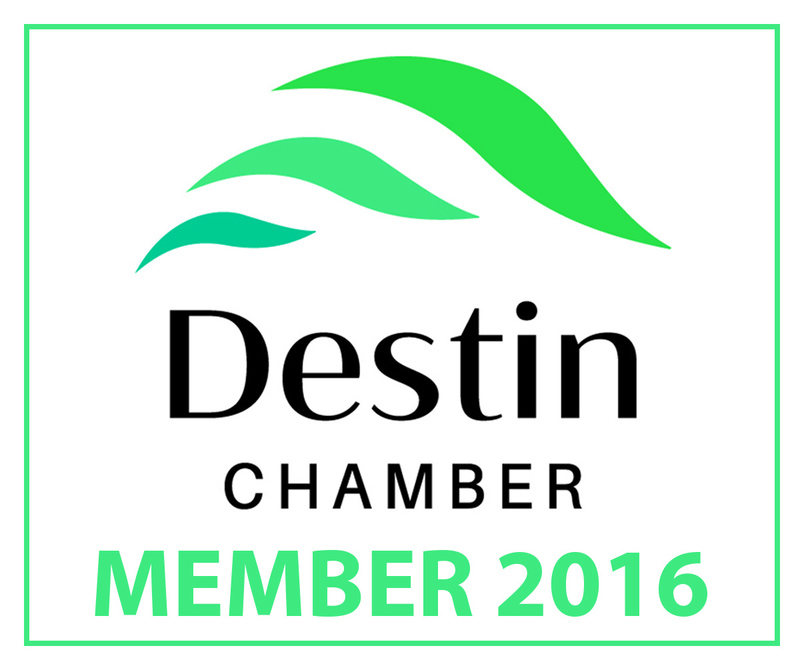 We worked together to create the perfect brand identity they envisioned – which was clean, sleek, but eye catching. 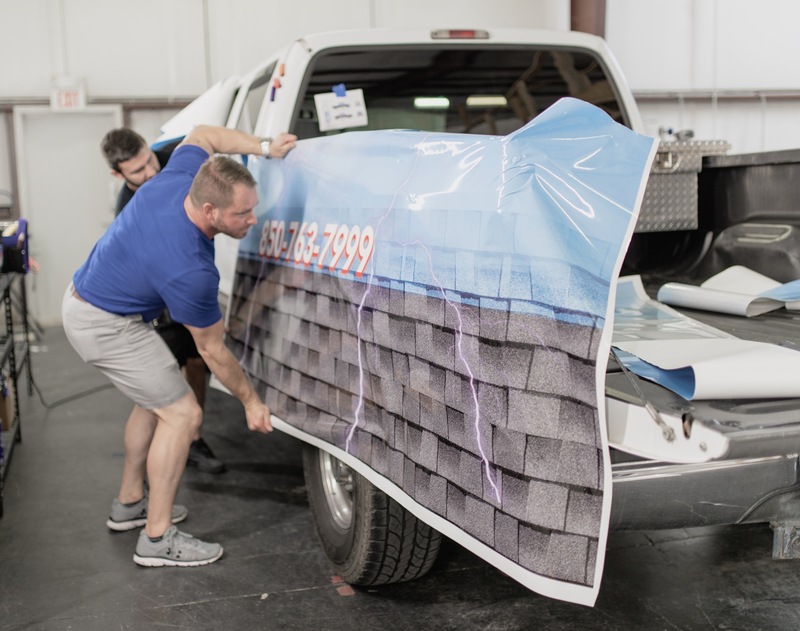 After perfecting their design with our team, we scheduled their drop off for the exciting part – the application of the wrap! 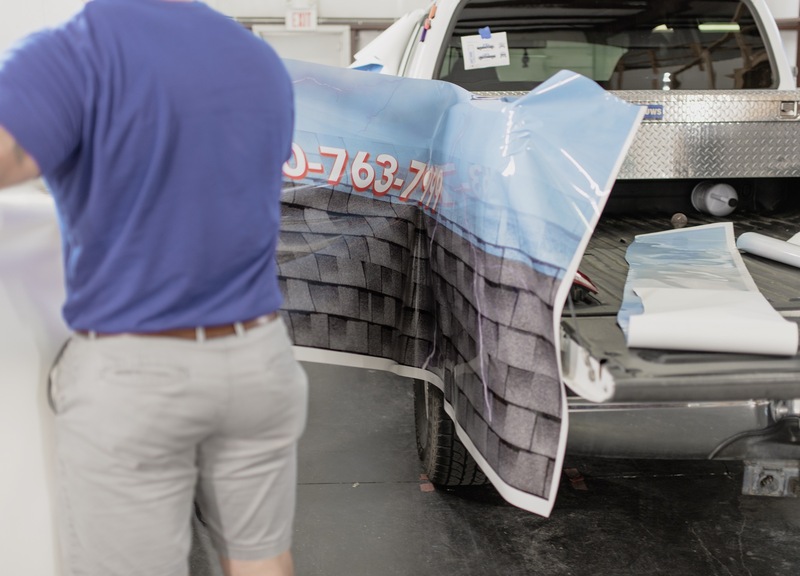 The installation process for a commercial wrap is much like the process of the process of a color change. We prep the vehicle by completely hand wiping it down, take off door handles, tail lights, and head lights. 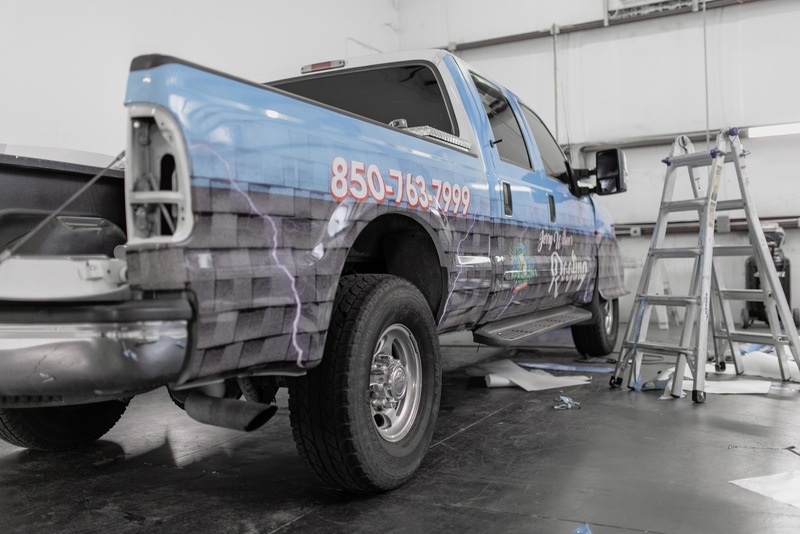 We use top of the line wrap material to ensure the wrap lays on the curvatures completely seamlessly. Commercial wraps can be tricky – as these are laid in panels and each panel MUST match up perfectly. 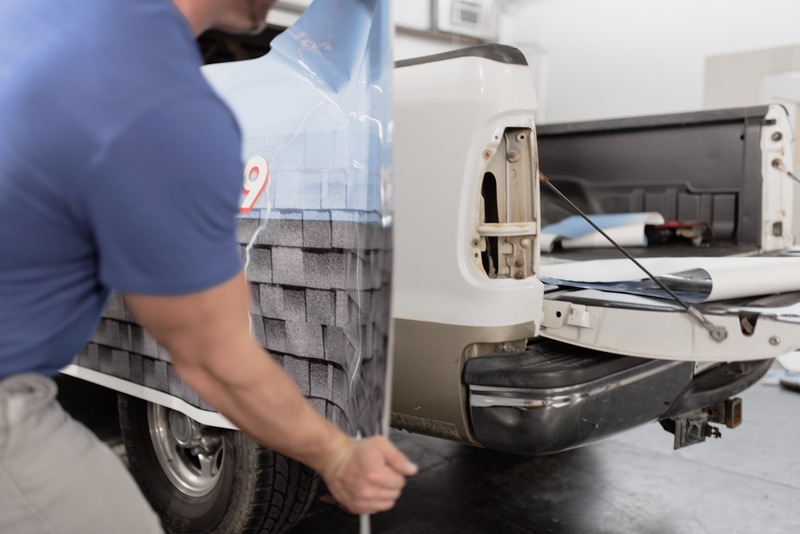 ANY slight error in matching the panels properly can affect the entire vehicle; it’s imperative that our team take their time to insure it’s done right the first time. Piece by piece, the vehicle began to come to life. After much anticipation, Jerry Wilson’s Roofing took possession of their newly wrapped commercial vehicle. 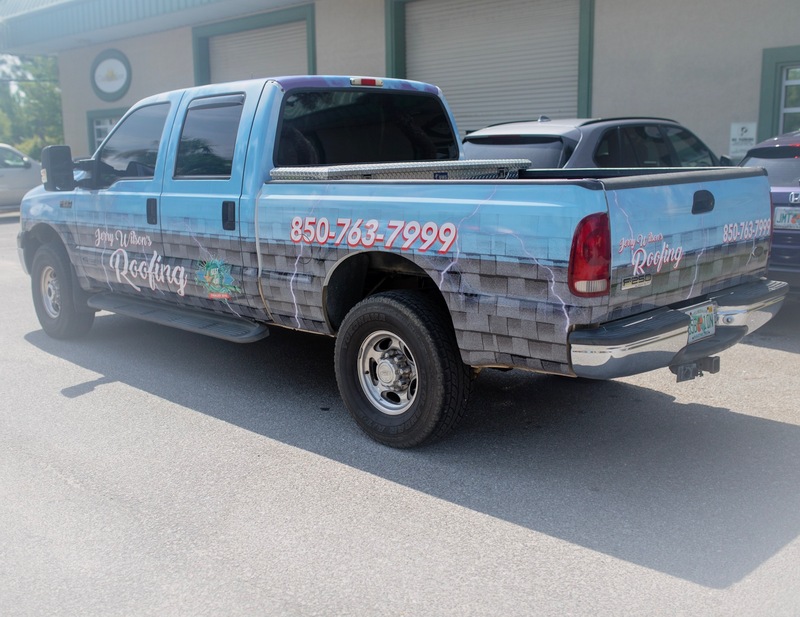 A huge thanks to Jerry Wilson’s Roofing for the opportunity and working with us on your beautiful wrap! We can’t wait to see it on the streets!